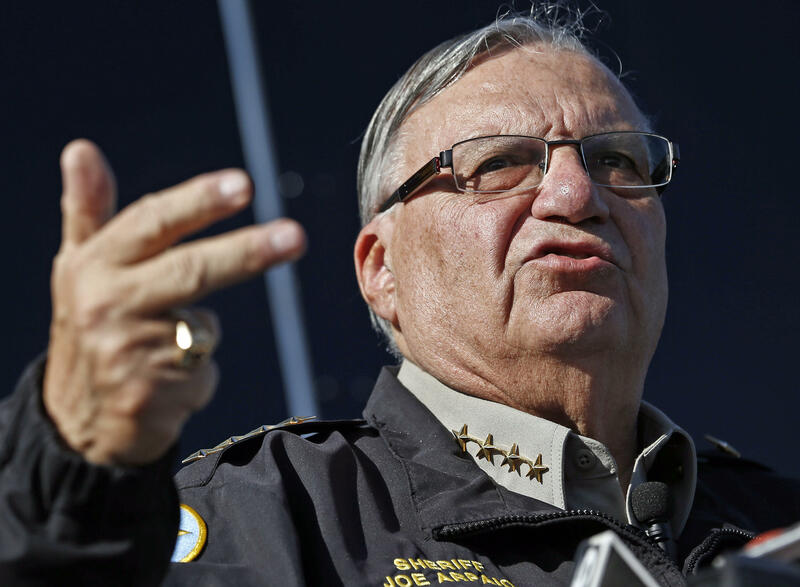 PHOENIX -- Sheriff Joe Arpaio of Arizona has fixated on the authenticity of President Barack Obama’s birth certificate for more than five years, going so far as to send a deputy and member of his volunteer posse to Hawaii to question officials. He earned plaudits from Donald Trump and became one of the nation’s leading voices on the debunked controversy over Mr.Obama’s birthplace. Arpaio plans to close his yearslong investigation Thursday, ending a chapter that critics denounced as a shameless ploy to raise money from his right-wing base. The news conference from the media-savvy sheriff comes three weeks before the end of his 24 years as metro Phoenix’s top law enforcer and five weeks before Mr. Obama leaves office. At the news conference Thursday, Arpaio said the investigation was never about where President Obama was born,CBS affiliate KPHO reported. Arpaio wasn’t the only Arizona politician to plunge into the erroneous effort. The Arizona Legislature passed a bill in 2011 that would have required Mr. Obama and other presidential candidates to prove they were U.S. citizens before their names could appear on the ballot. It was vetoed by the GOP governor. Several Electoral College members even questioned Mr. Obama’s eligibility to serve as president as they cast their votes for Republican Mitt Romney four years ago. In the 2014 documentary “The Joe Show,” Arpaio was seen brushing aside his publicist’s prediction that he would be viewed as a clown. The sheriff said the investigation would help his fundraising efforts. “It may look nuts, but you know what, it’s going to be pretty good,” Arpaio said. In 2012, he said the investigation revealed that there was probable cause to believe Mr. Obama’s long-form birth certificate was a computer-generated forgery and that the selective service card completed by Mr. Obama in 1980 was likely a fraud. Arpaio insisted he wasn’t investigating whether Mr. Obama was a U.S. citizen but examining an allegation that the document was fraudulent. But critics say it was a calculated swipe at the identity and legitimacy of the nation’s first African-American president. Though Arpaio promised no taxpayer money would be spent on the investigation, the sheriff sent a deputy to Hawaii to accompany the posse’s top investigator. The sheriff said the posse would reimburse his office for the costs of the deputy’s travel and time. At one time, Arpaio said the posse spent $40,000 in donations on the investigation. It’s not known how much it ultimately cost and whether the agency was reimbursed.